Pecan praline candy made in Texas! 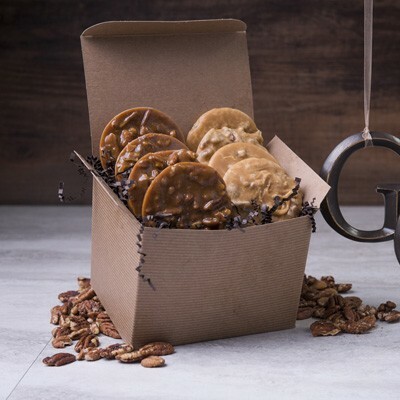 The traditional southern pecan praline is a modification of a French recipe where almonds were used instead. This creamy candy is usually made with pecans, brown sugar, butter and cream. 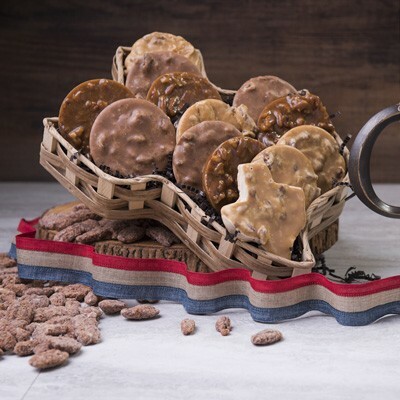 Pralines are a popular gift item as Texans love to share this regional treat with friends and family all over the world.